Madder Than a Hornet on a Hot Day…But Darren Fixed It! So mad. Got home from vacation. Was paying bills as it was that time of the month. I get through (yeah!). I see a pop up from MicroSoft about some new upgrade to Windows 10. I politely decline. I finish my business and close out. Do you know Windows 10 automatically updates??!!*@*!! Do you know what happens to my laptop? Yes, the infinite loop of restore/restart point hell. So, I call MicroSoft. After a 45-minute hold to get to an agent with an accent that is not American I am promptly told that I should have done a compatibility test prior to updating to Windows 10. It is my fault and I must call the manufacturer of my laptop to resolve the problem. I call up Darren of Digitron in Dyker Heights, Brooklyn. He says it’s no problem to fix the issue. He has to wipe my computer and then reinstall my docs/pics/etc. He does it in less than 24 hours. I dropped off Friday late afternoon and it was ready by 3:00 pm yesterday (Saturday, 9/22). 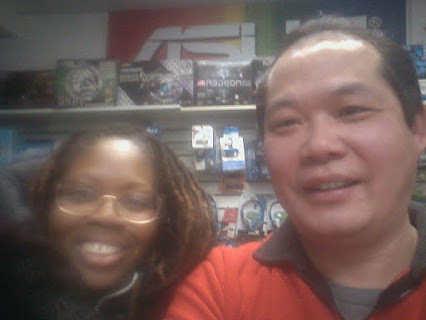 Darren of Digitron Electronics in Dyker Heights, Brooklyn, NY. 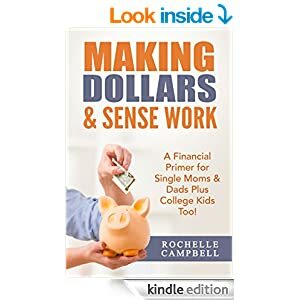 My fabulous book designer, E.M. Tippetts, is running a giveaway for my latest book Making Dollars & Sense Work: A Financial Primer for Single Moms & Dads Plus College Kids Too! Not only was Emily incredibly sensitive to my newbie-ness in the process of taking a book from ebook form to print form, Emily was open to my suggestions! I was floored. There are graphics that divide chapters. Graphics to enhance and embolden chapter headers and lovely page dividers that are easy on the eye. I was thrilled when I received my print. My book was professional and beautiful! If you’re in need of a great book designer this is the one! Please visit the E.M. Tippetts Book Designs blog and enter my book’s giveaway! It ends on June 3rd, 2015! There are a number of things that we collectively need to know about our money management that we do not know. No one told us. Heck, most people are not told. We find out by trial and error, or we decide to teach ourselves because we’re sick and tired of being sick and tired. Maybe that’s why you’ve picked up, or clicked on this book…because you want to find a key to help you unlock the next better section of your life. A life that you can share abundance with your children, with your other loved ones…with yourself. how to get out from under PayDay loan hell – legally! reminders on how to effectively reward your child(ren) and yourself! Don’t forget! Enter the GIVEAWAY and win a copy of Making Dollars & Sense Work! If you are any type of writer — Indie, or traditionally published — you know the importance of having your work properly edited by an experienced, caring and compassionate editor. I’ll tell you a ‘horror’ story. My very first book that I released called Opening Up was a labor of love. I had worked on it for upwards of four years. I tweaked and primped it and thought I was finished by the end of year four. I sent it to my editor – KLM Editorial Services — and she ripped it apart…kindly, of course. However, this is exactly why you have an editor to do just that — tell you when you need to cut, revise, or throw out completely. Well, maybe that last bit is going overboard but you get the point. I did revise Opening Up. I did publish it and the reviews came back that readers loved a minor character that was introduced towards the middle of the book. Readers wanted that minor character to be the focal point of the book! This was not the job of the editor to ferret out. That was the job of a supportive writer’s group which at that time I did not have. 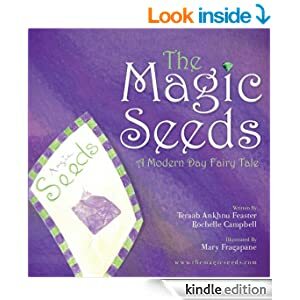 Readers did comment that for an Indie book it did not have the grammatical, punctuation and other technical flaws one saw from a new independent author. Kudos to KLM Editorial! Needless to say, I pulled that book and have re-worked the story arc and have a fully executed outline ready to go. But that, as they say, is another story! Every Wednesday is #WriterWednesday on Twitter and I wanted to do something special for it. Something we writers can appreciate. 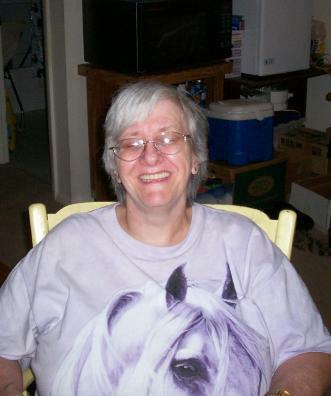 I would like to share my editor, Karen, with you — KLM Editorial Services! Here is a Q & A with Karen so you can get a sense of how she works and if she may be the perfect fit for you and your book. Personally, I feel I’m a success when someone will refer me to a possible client, because they are very satisfied with work I have done for them in the past. I also get satisfaction if any book I’ve worked on has been nominated for, or received, an award. Although most of the effort is that of the author, I also had a hand in that success. I know some people believe that you should be able to work with any author/editor, but sometimes personalities just don’t mesh. When that happens, it’s to the author’s benefit to get a different editor, otherwise she/he runs the risk of getting a poorly edited story that may not do well in the market. My definition of Freelance work: An author has written a novel. They wish to find an editor to polish that novel before a potential publisher sees it. 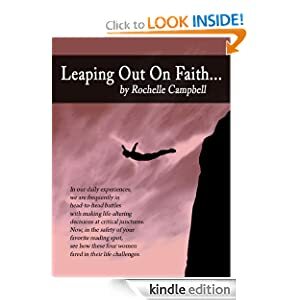 They have heard of me through “the grapevine” or through a publishing house or some other means (for example, my name is in many of the books I have edited, listed on the copyright page as editor). They contract with me to edit their book, and pay me an agreed upon amount, in portions, to edit the work. I have also done freelance work when a publishing house says “I have a novel. It needs an editor.” They give me a synopsis of this book, and ask, “Do you want to do this book? If so, what will you charge, and what will you do for that money?” They then negotiate the contract for me, and have the author contact me with the manuscript. I was trained by an acquisitions editor at Doubleday to do a total edit….from proofreading and copyediting to the Substantive Line Edit as a complete service. That’s what you get from me. I copy edit (grammar, punctuation and spelling) of the content of the manuscript. I check for continuity errors. I pare all extraneous words out…and can point each of them out. All the little IF, AND, BUT, THEN, THEY etc. I check for smooth flow, and help tighten the manuscript, WITH the author. I make suggestions… I question what the author “means” if something is unclear. Do you mean “a” or do you mean “b.” I do try to encourage the author with their work. If I see they have potential (in my opinion) I try to point that out. I am NOT a book “doctor.” I do NOT re-write the book. I do not LIKE to give writing lessons to the author that truly writes dreadfully…giving writing lessons is not the job of an editor. DO: Spell and grammar check the entire work. Cut as many extraneous words, and make the work flow before an editor sees it. Write your work, and let it sit for a time (probably about a month) and then re-read it with a “fresh eye” to see what changes might be made — and make them. NOT DO: Expect the editor to write their novel for them. They can take the editor’s questions about what is already written, and the editor’s comments of what the editor has read. Using that information they craft the work; an editor does not. Tell us about an example of a conflict you’ve experienced in an editing situation and how you’ve resolved it. I was given a manuscript by a publisher with whom I had worked for a few years. The author was a novice; this was his first book. I did my complete edit, and added comments and suggestions for improvement. Apparently the author took none of my suggestions, and made no changes or adjustments. The publisher knew that nothing I suggested was used because of the previous quality of my work. She apologized to me for the author’s attitude, which was quite kind of her. A different client, who was also a first time author, hired me to work on his book. What irked me was he changed and added chapters to the story after I had completed my edit, but did not allow me to go over the new material. The new material was not as good as what we had worked on improving during my editing pass. He added my name to the copyright page of the book as editor without my permission. This one title I never refer to when I’m asked for my credentials since the novel was changed after I worked on it. This author later wanted me to do subsequent books in this series, and I refused. He was of the opinion that, “everyone has a price,” and he would pay it. No amount of money would be enough for me to go through those headaches again. LOL! Most of my clients are indie authors these days! I was trained to edit almost anything. I’ve edited titles from historical fiction, romance, science fiction, children’s books, historical articles and gay fiction. Editing, in my opinion, is the same for the indie writer than for one that might be submitting to a publishing house. You need to deliver a high quality product to the end-user: the reader. What if an author, or organization, has several editorial candidates with similar qualifications. Tell us some reasons why we should hire you? I have decades of experience, and let my resume speak for itself. I was trained by an acquisitions editor from Doubleday in the 1970’s-80’s. I always am mindful that the manuscript is the work of the author. I try to keep their “voice,” in all that I do. Here is a selection of the books that I have edited. Highmage’s Plight — proofing of second printing. Okay, last question. What types of editorial services do you provide? I DON’T format manuscripts for publication. I do offer to suggest possible publishing sources such as Create Space and X-libris. copy edit (grammar, punctuation and spelling) the content of the manuscript..
pare all extraneous words out…and can point each of them out. check for smooth flow, and help tighten the manuscript, WITH the author. question what the author “means” if something is unclear. Please note: Any formatting issues in this post are the sole responsibility of this author — not her editor!